Doctor Who | What's with today, today? Anxiety levels are pretty high at the moment. Well I think it’s anxiety, it’s hard to tell? I have this feeling in my chest that’s warm but has a hole in it. A twisted empty space that might implode. Is that anxiety? Who knows? Emotions are funny things that don’t always make sense. Why do some people cry when they are happy? Why do some people hurt the ones they love? I have a hard time understanding. When I am in emotional turmoil and I am trying to make sense of these feelings I can’t help but think about Doctor Who and what happens to The Doctor when he regenerates. Not only does his physical appreance change but his personality changes too. One of the best examples of this was the change from the 11th Doctor to the 12th. The 12th Doctor found himself asking his companion “Am I a good man?”. It’s questions like this that I am always asking myself. We always like to think of ourselves as the hero. We are fair and just. If we saw someone in distress we would be there to help. However I don’t really see myself as that person. I sometimes find it hard to care and feel empathy. At times I feel like I have a dark passenger like in Dexter. My dark passenger is not a killer, just a side of me which has no compassion, no feelings, no nothing, just empty. My dark passenger really doesn’t care. He is selfish and antisocial. He is everything I hate about myself. Most of the time I have control of the negative emotions, I ignore my dark passenger. I have the strength to be kind, caring and compassionate. But as time goes by I get the feeling that I am being false and I am aware that I am faking a smile. That’s when my dark passenger wins. He has tricked me into thinking that I was in control when it was really him all along. Other times I don’t fight it and I wallow in the emptiness. It is a constant internal struggle. Is my dark passager the true me? Am I evil, or am I really a good man? There is an unexplained issue with the TARDIS as it tries to land which causes it to phase in and out of time within itself. Past voices of the Doctor echo inside its walls. 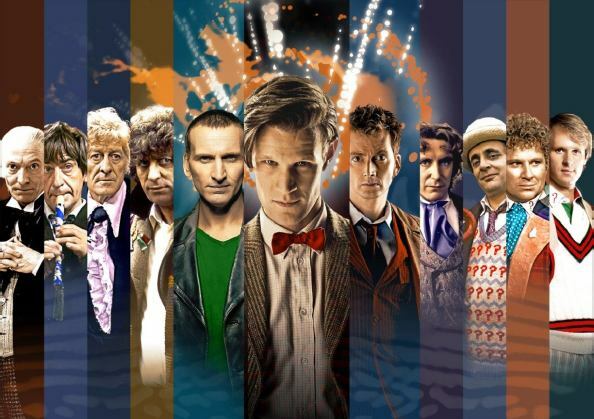 It’s not just the voice of the current doctor but the voice of all the past doctors. All the voices of the Doctors are saying that there is a problem with the TARDIS, their voices start to overlap one another. The voices become a chatter of noise which seems to synchronise with the sound of the TARDIS as it tries to materialise. The 11th doctor and his companion Oswin try to find the cause of the malfunction, The Doctor says there appears to be some sort of leak from the heart of the TARDIS which is given out a sort of “time radiation”, causing the past echos. The noise gets greater and the Doctor appears to be gravely sick due to the radiation. He starts to regenerate, He knows he is close to death and uses this last chance to patch the leak by stepping into the vortex at the heart of the TARDIS, but as he does so the TARDIS explodes. The explosion is like that of a star going supernova, the TARDIS then becomes a black hole in space and time. The explosion instantly becomes an implosion, sucking all the time and matter back into the vortex rebuilding the TARDIS around it. This implosion of time drags all of the doctors out of their timelines to this one point in time, the time of the explosion. All the doctors being in this one place together at a point of death has had a major effect on them. Instantly the first 3 doctors burst into light as if they are going to regenerate but all the energy and light of the regeneration is sucked into the heart of the TARDIS. We see that all the doctors have aged, they realise that they have aged because they can’t regenerate. They can’t regenerate because their regeneration and future self is also there at that point in time. This is why the first 3 doctors burst into balls of energy as soon materialised because they instantly died of old age. There is a brief funny moment when the doctors talk to each other. They make comments on their age and weight “So if I never regenerated and kept on eating Jelly babies I would have ended up looking like you.” Oswin starts flirting with the 10th Doctor which is also funny. Just as the 4th Doctor is about to make a witty comeback a look of panic crosses his face and he burst into light which then also gets sucked into the heart of the TARDIS. All the doctors feel the effect of the loss of part of them. Dragging them through time has not only aged them but has made their cells unstable, They realise their fate, one by one they too will burst into energy and become one with the TARDIS. They split up and wander the rooms and corridors of the TARDIS trying to fix the issue. Due to the time phasing, the walls and rooms keep changing around them to rooms and consoles of old. The 5th Doctor bursts into energy, then the 6th, and so on as they struggle to find the cause of the leak and malfunction. Soon it is just the 10th & 11th Doctor left. They work together with Oswin in the console room as it shifts and explodes around them. The 10th Doctor knows his time is up and there is an emotional scene were he says his goodbye, “It was great to go on one last adventure!”, he bursts into light and he too is sucked in by the vortex. This just leaves the 11th Doctor and Oswin. The Doctor suddenly stops and gives a knowing laugh as he realises his fate, He and Oswin should have died when the TARDIS exploded but they didn’t, they were brought back to the origin of the explosion which means they themselves were covered in this “time radiation”. It has created a sort of time feedback loop. It was the radiation, and it’s effect on the Doctor that brought his past lives back and why they got sucked into the vortex. He knows the he too is going die but he will regenerate as there is no other version of himself in this timeline. It must have been the 12th doctor that actually patched the leak. He wonders what effect the time vortex would have had on him as a Time Lord. Would that mean that as long as the TARDIS exists so will he? Will he live beyond his 13 lives? He also ponders what effect this might have had on Oswin? Not only her body was covered in this radiation but her soul and essence had been sucked into the heart of the time vortex too. This could mean that her soul and essence could appear anywhere in time and space that the TARDIS has been. The TARDIS shakes again and we are back to where we started. The Doctor is gravely sick due to the radiation. He starts to regenerate, He knows he is close to death and uses this last chance to patch the leak by stepping into the vortex, there is a blinding light and the shaking stops. The leak is sealed. Then out of the light steps for the first time… The 12th Doctor. Reason #1138 as to why my wife is AWESOME!